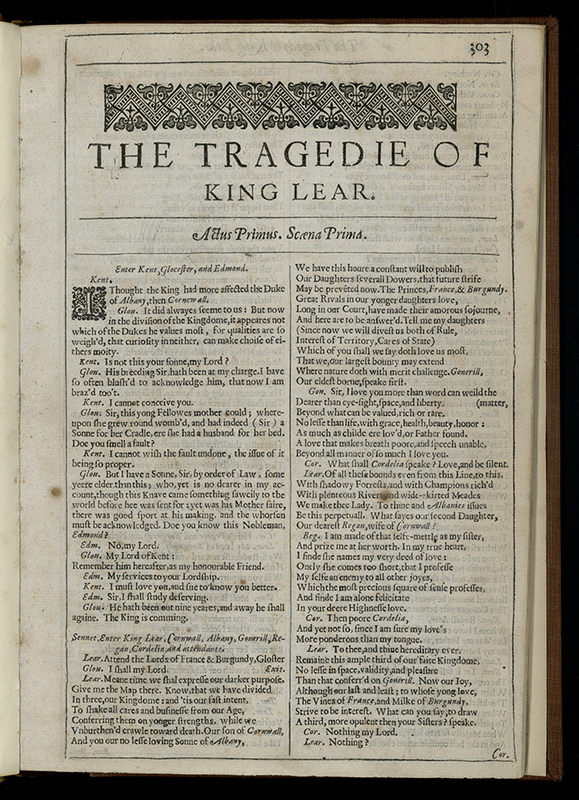 Although this edition contains only King Lear, Othello, and Anthony and Cleopatra, it is significant because it is the second edition of Shakespeare’s complete plays. Shakespeare’s famous First Folio was published in 1623, seven years after his death. It became so popular that the printers decided to produce a new expanded and corrected edition. The Second Folio was published nine years later. This edition features expensive engraving and lavish ornamentation. Shakespeare, William, “Mr. William Shakespeare,” UM Libraries Digital Exhibits, accessed April 23, 2019, http://scholar.library.miami.edu/digital/items/show/493.